I met someone from the George Bush in Surrey protest at the Occupy Vancouver site and he came right out and asked me who we should vote for in Surrey because as he said, no one at that demonstration is going to vote for Dianne Bush. I told him that even though the election is coming up soon I still have to go through the booklet and see who is running for what. In Vancouver, they have a humours plastic Humpty Dumpty on site with a sign calling it Mayor Gregor Robertson telling everyone to be careful not to push him off the wall. Yet we do need to be careful because sometimes the devil we know is better than the devil we don't know. Suzanne Anton is indeed a devil. She represents the same cruel NPA that was defeated by the legendary Larry Campbell at the time of the Woodwards squat. Vancouver's own Da Vinci. Typically we have COPE on the left and the NPA on the right with Vision Vancouver reaching above and beyond the two. I won't refer to them as centralist because often we have seen centralist parties in Canada take the worst from the left and the worst from the right instead of taking the best of both worlds. I'd say Vision Vancouver is different. I wouldn't say they are linear left and right I'd say they are visionary looking at issues not party preferences. I like Raymond Chow. I think he's a good man. As I keep saying no two people agree on every issue. Although many candidates run for mayor in Vancouver usually the people that get in are the ones who have been counsellors or have experience in the filed. Although I hate strategic voting, Darrell Zimmerman doesn't have much of a chance of winning that election. Don't get me wrong, everyone has a chance. It's just opinion polls do have some merit in predicting who the candidates are with the most popularity. Zimmerman didn't even get his picture or write up in the Vancouver's Voter Guide. 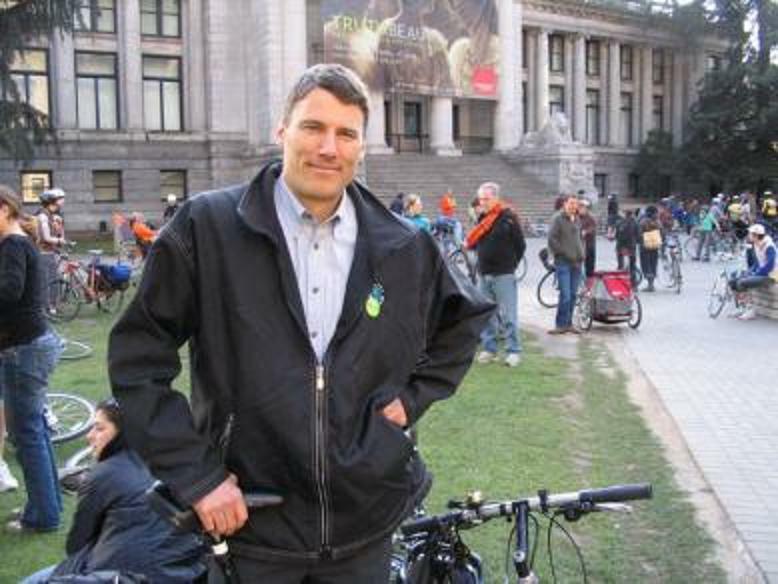 Right now Gregor Robertson is firmly ahead in the polls. Unfortunately, he lost some of his popularity of late with regards to his determination to shut down the Occupy Vancouver site and those supporters are voting for other candidates. Unfortunately Suzanne Antoinette appears to be rising slightly in the polls. This is not the person we want to be Mayor of Vancouver. This would be a time warp back to the era of cruelty prior to the Woodwards squat. The good news is if she is defeated, then we get rid of her on counsel. This is not the time to split the vote. Gregor Robertson got carried away and made a mistake with the court application. Yet I do think he is capable of reason. Suzanne Anton is not. I will note that Adrianne Carr is also running for counsel and I think that would be a good choice. She was the leader of the BC Green Party. That was my Surrey friend's conclusion. Vote green. People who are concerned about the environment are more likely to be concerned about the people as well. He said BC should be proud for having elected the only Green Party MP in Canada. Indeed. Banning her from the last debate was wrong. She is smart and has a lot to offer the discussions.